My REALLY BRIGHT CHILD is STRUGGLING to Learn to READ and WRITE! Many REALLY BRIGHT kids STRUGGLE UNEXPECTEDLY to learn to READ and WRITE. Often, this is due to undiagnosed memory, retrieval, processing, and/or directionality issues. Because these kids are so smart, however, many teachers and parents often think that their kids are just "not trying hard enough" or that they are "being lazy". Many often think it's just a "developmental issue" and that they will get it with "more time" and "more practice". But "more time" and "more practice" only works if the right foundation has been laid. No amount of extra time or practice will help a dyslexic child learn to read and write well if the base skills are still missing and not being filled in adequately. DISTRACTIONS-- Getting distracted by noises around them, movement, etc. ANXIETY-- Nervousness over what's to come. More failure??? Embarrassment??? Difficulties??? Confusion??? Dyslexia doesn't go away when a child learns to read and write, but learning to read and write certainly helps. If your child is struggling to learn to read and write, don't give up! Find a program that will work for your child. If you haven't found one yet, stay tuned! BLACK BELT READING is coming! It is backed up by science and, better yet, it is backed up by RESULTS! We are helping kids BUST THROUGH DYSLEXIA, one reader at a time! Contact me privately if you can't wait for the official launch, and I will consider you for our beta program! Email me at Katy@JKHTeach.com with the Subject Title: Blackbelt Reading -- Please help me teach my child to read! 1. Never give up. You can not progress if you give up. Struggle isn’t a sign to stop but to keep going. Get help if you need it. Find someone who can teach in a way that makes sense to you, and let them help guide you through the struggle. Those who continue to persevere through difficulties are the ones who succeed. 2. Difficult does not mean impossible. Just because something is a challenge for you to learn doesn’t mean that you can’t learn it. If you break it down and practice it for long enough, you can learn anything! Sometimes you end up being even better at it than the people who were born with more natural skills for it because you worked harder at it than they did and became even better in the process! 3. There's more than one kind of "smart". You can be extremely smart and still struggle to learn certain things, particularly those that require rote memorization. You might be a great thinker, inventor, mathematician, actor, psychologist, etc. You don't have to be "smart" in everything to be smart! Most kids who struggle with dyslexia are extremely intelligent! 4. Being "just like everyone else" is overrated. Differences come with gifts. You might struggle in school but rock in art, music, sports, creative writing, or personal relationships. Everyone has a different but important path to walk. Find your strengths and capitalize on them! 5. Attitude is everything! If you think you can and keep trying until you actually can, you will; if you think you can’t and continue to give up when the going gets tough, you probably won’t. Those who keep a positive attitude, listen carefully, and put in the work tend to progress the quickest and be happiest while doing so! Those with poor coping skills and bad attitudes make learning frustrating and end up taking so much longer to succeed than is necessary. 6. What you do when people aren’t looking makes the biggest difference! It’s not about simply performing when asked; it’s committing yourself and your private time to practicing new, improved skills until you have mastered them, regardless of how long that takes. Those who review, practice, and utilize their new skills when people aren’t around are the ones who move the fastest forward. 7. There is no replacing/getting around practice. You might “know” something in your head, but only dedicated and consistent practice forms the muscle memory you need to be truly successful with it. Practice, practice, practice...even when you don't feel like it or want to! 8. Every struggle exists for a reason and comes with a gift. You might not understand your struggles when you are in the midst of them, but they help mold and shape you into the person you were meant to be. My struggles enable me to understand others who struggle. They have given me great reasoning/decoding skills which have allowed me to not only teach dyslexics to read but to create a program that others can use to teach dyslexics to read. I might not be able to memorize easily or remember much of what I have learned, but I can teach anything I know, and I can create things no one else has ever thought of! Your struggles are meant to make you weaker; they are meant to make you more powerful! 9. There is always someone who can help you with your struggles. You don't have to tackle life alone when it is challenging. Find someone who can help. There is always someone who has not only faced your struggle and gotten through it, but who can help as well. Keep looking until you find him or her. Not every teacher or tutor knows how to help struggling readers and writers, but the right ones will. Look for teachers who understand and specialize in helping dyslexics. They should not just “teach phonics” but truly understand the code behind our language. 10. Perseverance pays off. Growth takes time, especially when you are learning a whole new way of doing something. You might want a fix NOW, but new skills take time to build, especially when you’ve been reinforcing bad or incorrect habits for a long time. The greatest results come from being willing to listen and to continue trying even when it seems like the frustration will never end. Perseverance is the will to continue even when you are tired of the struggle. It’s what allows you to finally succeed. 11. Behind every successful (but once struggling) dyslexic is a parent or family member who insisted on getting help. Don’t wait for your child to “grow out of it”. “More practice” only helps if you are doing the right kind of practice. 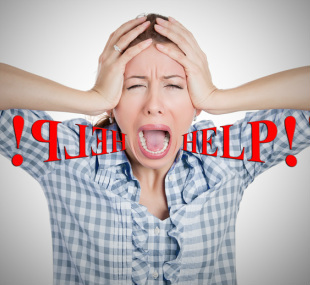 Get help as soon as you notice a problem. Backwards letters, trouble learning and/or remembering sight words, struggling to learn common spelling patterns, difficulty learning how to tie shoes, problems telling time, and trouble learning math facts are all signs of dyslexia. The best time to intervene is as soon as you notice a problem; the next best time (if you haven’t done anything about it yet) is now. Get Your Kids Writing in 7 Easy Steps! Having trouble getting your kids writing? Wondering how to get your older kids to stop replacing what they really want to say with bland, easy-to-spell words and sentences? Worried your kids will never be able to write full pages of readable text? You are not alone. So many of the parents and teachers who bring their kids to me for tutoring and/or who ask me for advice are worried about the same things. Let's get one thing straight. When I say "writing," I am NOT talking about copying someone else's written words onto a paper. I am also not talking about letter formation and/or how neat the handwriting is or isn't. Nor am I talking about writing perfect sentences with a few key memorized words. (I'll post about improving handwriting and the danger of teaching kids to write by using memorized words and/or wall words another time.) Rather, I am talking about the ability to write any word, thought, or sentence that comes to mind freely and effortlessly. Real writing. The kind you are expected to be able to do for the rest of your life. The kind some people get paid to do. 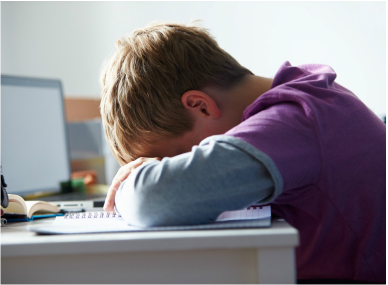 The kind all kids WANT to do before they are turned off to writing because it seems "too hard," "too confusing," or "too boring." Trust me, writing doesn't have to be a chore for your kids. It can be fun and rewarding. It can be EASY! But first your kids will have to understand how to take the thoughts in their heads and translate them into the symbols that go on the paper. That's the key. Teach them this, and they will be free to write whatever they can think up, not just what they have managed to memorize. Once they have this part down, you can help them clean up their spelling, penmanship, etc. Follow the steps below and help make the mystery of writing become clear to your kids! Step 1: Make sure your kids know their letters and sounds (both capitals and lowercase). Knowing letters and sounds is a MUST! All words are made up of them! If your kids don't know their letters and sounds yet, they are not ready to write. To teach them their letters and sounds, come up with age-appropriate activities. You might read alphabet books with your kids, play with refrigerator magnets, utilize bathtub letters, do alphabet puzzles, bake alphabet cookies, listen to alphabet songs, play with alphabet apps, watch alphabet videos, etc. If your kids are older and behind on learning letters and sounds, you might just write the letters (capital and small) on a paper and go over 5 or more of them at a time until your kids have learned them all. The more you surround your kids with letters and sounds, the faster they should pick them up! And the more they understand letters and sounds, the easier it will be to teach your kids to write! Step 2: Show your kids how letters and sounds work together to make words. Once your kids are comfortable with letters and sounds, it is time to show them how letters and sounds work together to make words. There are two parts to this. First, they need to see how letter sounds can be blended together to make words. Ex.) /c/-/a/-/t/ --> cat. Second, they need to see how spoken words can be segmented back down into their individual letter parts. Ex.) cat --> /c/-/a/-/t/. Generally, this is the most challenging step of teaching your kids to read and/or write! If you have no idea how to do this step, check out the first book in my new Kids Can READ and WRITE! series -- Kids Can! READ and WRITE! 2 and 3 Letter Words! It will guide you through the process, step by step. It is extremely easy to follow (whether you are a parent or a teacher), and it has everything you need to get your kids blending and segmenting their first words! In any case, once your kids have the general idea of how letters and sounds work together, help them use this knowledge to begin labeling their pictures. Start with simple words like sun, tree, grass, etc. Help your kids sound out each word they want to write. For instance, when helping your kids spell the word sun, you might say, "/ssss/ /uuuuu/ /n/ -- sun. What sound do you hear first?... /ssss/ /uuuu/n/." Once they can tell you "s" and write it down, move on to the next sound, reiterating what you've already done. You might say something like, "Okay! We got the first sound! Let's see what's next! /ssss/ /uuuuuuuuu/ /n/. What do you hear right after the s? (Point to the s and begin sounding out the word again, emphasizing the next needed sound.) /ssss/ /uuuuuuuuu/ /n/? (Point to the empty space after the s as you wait for a response.) Then continue through the word once more, this time emphasizing the /n/ sound. Once you have finished writing the word, go back and help your child sound it out. Point to each letter as you do so. Continue through other words in the same manner. Once your kids seem to get what you are doing, see if they can do it on their own. Help as necessary. Then give them some time on their own to experiment with their new knowledge. Don't worry about every word being spelled perfectly. Just check to see if most sounds have been represented. You can work to correct errors once your kids are more comfortable and confident sounding out words. Right now, just help them understand the process! You can help them sound out words if they are missing a lot of sounds, but don't worry about silent letters, etc. That's for later! Step 3: Teach your kids the "tricks" as they come up. A lot of people assume that once their kids know letters, sounds, and blending/segmenting techniques, they are all set to read and/or write just about anything. Then they wonder why their kids are having so much trouble reading and writing new words and/or sentences. Or why they are leaving out so many letters. Or why they are putting letters in weird places. Unfortunately, knowing letters, sounds, and a good blending/segmenting technique will only get you started. To read and write most words, your kids will need to know the "tricks" as well! To put it simply, "tricks" are letters and/or letter combinations that create new sounds when they appear together or in a certain position in words. Sh, ch, th, er, or, ar, oo, ook, tion, and y endings are just a few of these "tricks." There are at least 32 more! If you need help learning and/or teaching these, my Tricks Practice Cards can help! Just make sure you teach them. Otherwise, your kids will have to memorize pretty much everything they'll ever want to write. And if they're not great at memorizing, they'll probably either leave a bunch of letters out, start writing the letters in the wrong order, and/or avoid writing new words altogether. Don't let this happen to your kids! Instead, teach your kids the "tricks" as they pop up. Let's say your kids run into the /sh/ sound. Simply state, "Oh! That's a "trick!" When you hear the /sh/ sound, as in /sh/i/p/, you need to put an s and an h. S and h say, /sh/ when they are together. That's because they love to tell each other secrets! You can always hear s and h saying, '/shhhhh/' when they are together!" Then move on to the next sound! Remind your kids of this "trick" (and any others) as often as needed until they have internalized it. If you are working with older kids who are expected to be reading and writing already but who don't know these important "tricks," utilize my FREE Word Card Program to methodically teach them to your kids. Your kids MUST know the "tricks" to read and/or write new and/or unknown words effectively! Step 4: Move your kids into writing sentences with capitals, periods, etc. Since sentences are just words put together to form a complete thought, as soon as your kids are comfortable sounding out words, move them into writing sentences! You can start with simple ones and work your way up to more difficult ones. The best way to do this is to have your kids tell you something they want to write, then help them sound it out, one word at a time. Before you start, tell your kids that words don't like to get squished together. Tell them they are much happier when there is at least a finger space between each one! Then, when you start to write their first sentence with them, let them know that the first word gets to be the "line leader," and show them how to capitalize it. Let them know that the final word in the sentence gets to be the "caboose" and carry a special ending mark. Go over the main types of ending marks (., !, and ?) and explain them to your kids. Then proceed to help your kids write an entire sentence, going back over these "rules," as you get to them. After helping them through a few sentences, let them practice on their own. Help as needed. If you leave to work with other kids, come back as frequently as you can to check on their progress. If you find they have forgotten their capitals and periods, you can go back through their stories with them, helping them put their capitals and periods in place as you read each sentence aloud and talk through the process. If the spaces are missing, don't worry about it. Just help them write a few new sentences, and go through the process like before. The more you practice with them, the better they'll get at doing it on their own. Step 5: Help your kids learn to spell those crazy "outlaw" words! As we all know, some words are just weird. They don't follow any set patterns. They don't make any logical sense. And they certainly don't sound the way they are spelled! When your kids begin writing sentences, a lot of "outlaw" words (words that aren't spelled the way they sound) are bound to pop up. Some of the most common ones include was, where, could, would, should, have, saw, they, were, because, and very. Obviously, you'll need to help your kids learn to spell these. Some will only need minor adjustments, while others will need larger chunks to be committed to memory. Don't overwhelm your kids by making them correct every misspelled "outlaw" word. Simply help them correct a few at a time. You don't want to discourage them or make them think that writing is too hard. To help your kids learn how to spell these weird words, help them hear how the word you want them to learn is spelled. Don't just tell them a long string of letters to remember. You can say something like, "Oh -- 'was' is an outlaw word! It sounds like /wuz/, but it's really spelled /was/ (say word like it's spelled with the /a/ sound in the middle). When you want to write it, remember /was/ (say it like it looks like it should sound, with the short a) -- w, a, s!" Remind your kids about these words as necessary, repeating what you said before. Don't hassle them when they misspell the word the next day, just remind them as if it were the first time. Some kids have better memories than others. Step 6: Give your kids TONS of practice writing! For your kids to internalize all they have learned about letters, sounds, blending/segmenting, "tricks," and "outlaw" words, they must get a lot of real world practice putting all they know to use! And they must get it DAILY! Because of this, it's important to get your kids writing as much as you can throughout the day. This will give them the time they need to become more fluent when writing, and YOU the time you need to see how they are doing so you can help correct any issues they are still having. Just remember not to get too nit-picky with your kids' work. Remember to praise more than you correct. And when you must make a correction, try saying something like, "Oh! I haven't taught you this yet -- it's an advanced skill!" or "Oh! Let me teach you how to spell this tricky word!" Even if you've taught it before, gently teach it again. Kids don't make mistakes on purpose. They make mistakes because their brain glitches or they don't know something fully yet. Also, remember to make writing time fun! Let your kids write creative stories, plays, notes, jokes, etc. Supply them with all sorts of paper, pencils, crayons, etc. And make sure you speak enthusiastically about writing. Your attitude about writing will likely have a huge impact on theirs! One last note of caution -- don't use writing as a punishment!!! Instead, use it as a reward. Let your kids stay up a little later to write a story or a personal note to someone. Or let them write you a note to persuade you to do something. Whatever, just make sure you are creating positive feelings toward writing, not negative ones! Step 7: Praise, praise, praise your kids' efforts as they write! Many kids CAN write, but they don't WANT to write! Make sure this doesn't happen to your kids. Make writing a JOYFUL occasion! Be excited about writing when you talk to your kids about it. Praise, praise, praise your kids' efforts as they go through the process of learning how to put their thoughts in print! 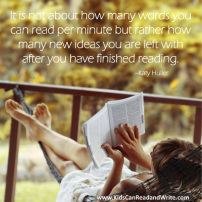 It's a complicated process (like reading), and it takes time. Be patient, be kind, and remember to show your enthusiasm for whatever they produce. The more excited you are about their work, the more likely they are to produce more of it for you! So praise and help, praise and help. You will be amazed at the results that come! Once your kids are writing, it's important to keep them writing! After all, what we don't use, we lose! 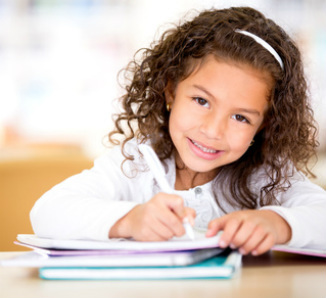 Get your kids writing, praise their efforts, hang up their work, and continue to encourage them to KEEP writing. The more they do so, the better they should get at it. And who knows, maybe one day I'll be reading something that they have written to help or to entertain others! As the saying goes, "Every professional was once an amateur!" Author of ﻿Kinders Can! READ and WRITE!,﻿ Get Your Kids READING and WRITING! 2 and 3 Letter Words!, Tricks Practice Cards, More Tricks Practice Cards, and Alphabasics!